Home » Tech Tips » Windows 10 » How to Access iCloud in Windows 10? 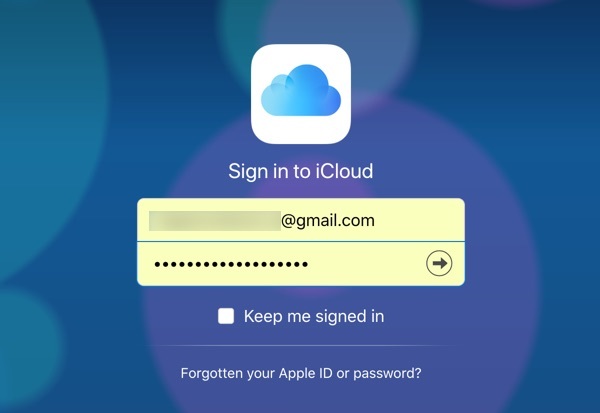 How to Access iCloud in Windows 10? Apple iCloud is a free synchronization feature that allows you to sync content across all your Apple devices. For example, when you capture a photo on your iPhone, you can instantly view the picture on your Mac. The only requirement is that you need to use same Apple ID (which is also your iCloud account ID) on all your devices to sync images, photos and other documents. Since Windows is the most popular operating system, Apple also offers solution for synchronizing content from your Windows PC. 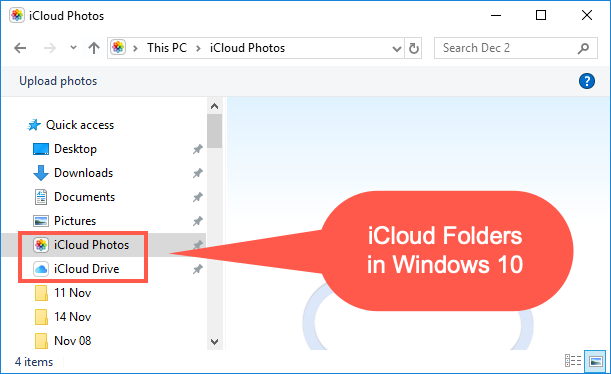 In this article let us explain how to access iCloud in Windows 10. You can access iCloud on your Windows PC in two different ways. This is an easiest way as you don’t need to install any software on your Windows PC. However, you should use two factor verification code and trust the Windows PC to access the site on regular basis. Open Edge or any of your favorite browser and go to iCloud website. Enter your Apple ID and password and click the arrow to proceed further. Apple will send a verification passcode to all your trusted devices like iPhone and Mac. 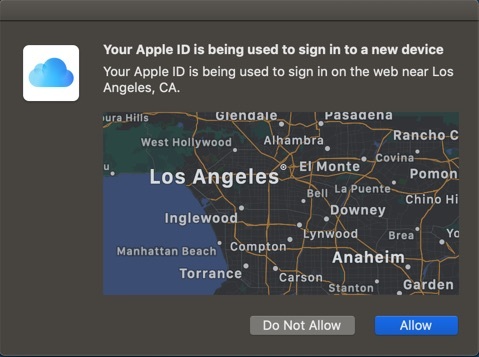 On your iPhone or Mac, you will get an alert with a location map indicating someone is trying to access your Apple ID. Tap or click on “Allow” button to provide the access. You will see a six digit verification code like below. 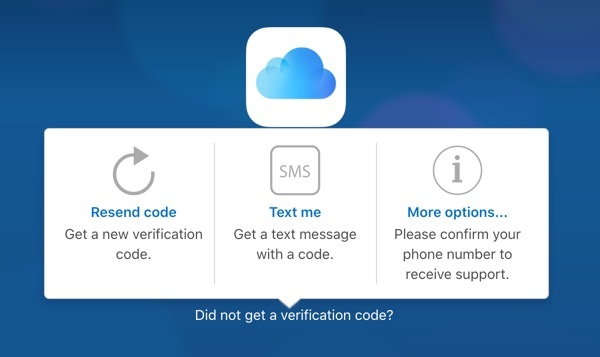 Note down the six digit verification code and enter it on the iCloud website on your Windows PC. Don’t worry if you didn’t receive the passcode or forgot before entering. Click on the “Did not get a verification code?” link and resend the passcode. Alternatively you can also generate the verification code from your Mac or iPhone and enter it here. 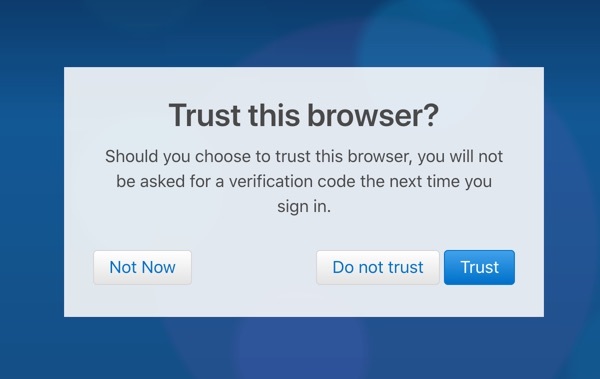 After entering correct passcode, you will see another prompt asking you to confirm whether to trust the browser or not. Once you click on “Trust” button, Apple will add the device into your trusted device and will not ask for two factor verification passcode anymore. You can also choose “Do not trust” or “Trust” buttons when you are trying to access from public computer or don’t want to add your Windows PC in the trusted device list. Now you will see iCloud account and start upload or download files on your account. In order to trust the device, you will also need to confirm when you logout of your account. 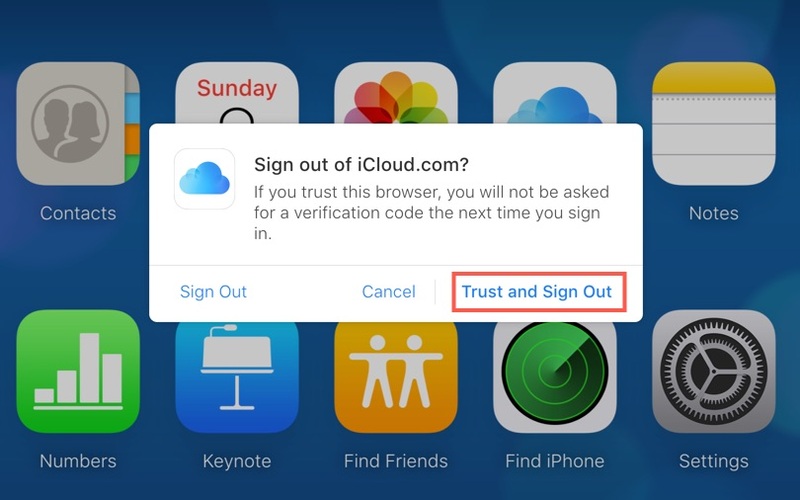 Click on “Trust and Sign Out” button so that you will not be asked for verification when you login to iCloud on your Windows PC. Remember, even though you have chosen to trust when logging in, it is necessary to trust again during sign out. Otherwise, Apple will send the passcode when you try login next time on the device. Accessing iCloud through website is useful for few times uploading or downloading files on your account. It is not handy for frequently accessing iCloud Drive or Photos from your account. To resolve this problem, Apple offers iCloud for Windows app. Download and install iCloud for Windows app on your Windows PC and login with your Apple ID. 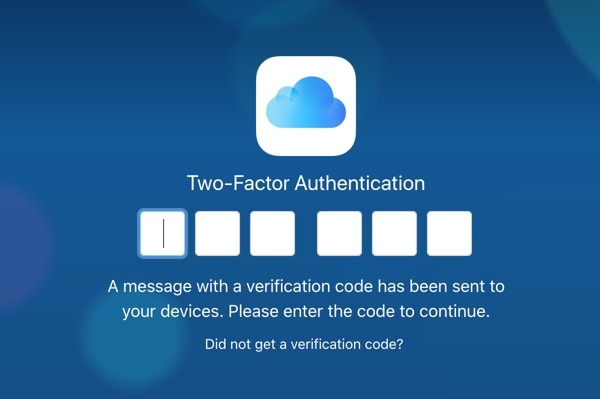 Again, you need to verify with two factor verification passcode when you logging in for the first time. After verifying, you will see a window like below with your iCloud account details. 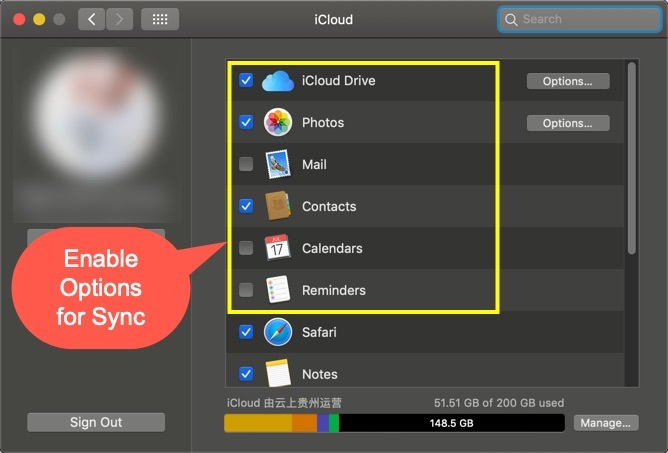 Note that the available sync options depend upon the options you have enabled on your iCloud account on Mac or iPhone. We did not enable mail option and hence the app is not showing. On your Mac, go to “Apple Menu > System Preferences > iCloud” and enable the options for synchronizing. Similarly, on iPhone you can tap on “Settings > Your Account > iCloud” and setup this. Related: How to fix slow MacBook Pro? You can do the many useful things using iCloud for Windows app. The app will create folders on your Windows user account when you enable the checkboxes. 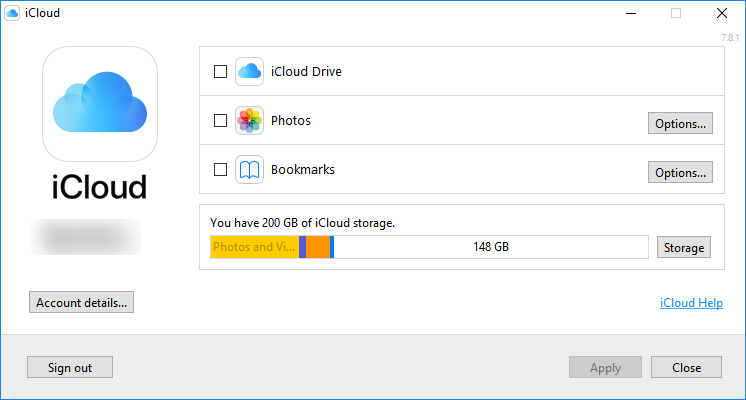 For example, if you enable iCloud Drive and Photos then there will be two folders created – iCloud Drive and iCloud Photos. Enable this option to for automatically synchronizing the content you upload on PC to all your Apple devices. You can upload files in “iCloud Drive” folder and view them on your Mac or iPhone. Similarly, all files on your iCloud account will automatically downloaded to Windows PC. When you enable this checkbox, the app will ask you to enable upload, download and sharing options. 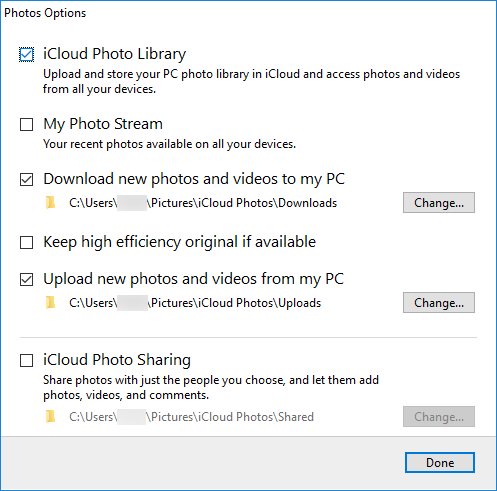 Based on the option you select, the app will also create uploads, downloads and shared folders automatically inside the “iCloud Photos” folder on your PC. You can upload photos and videos and access on other devices seamlessly. Similarly, you can download photos and videos from other devices to your PC. Shared albums allow you to view and comment on the photos you have shared with others. Enable this to sync all your emails, contacts, calendars and reminders on your Windows PC. This is the last option available on iCloud for Windows app. 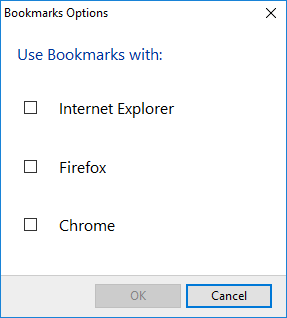 Enable this and choose the browser to sync the bookmarked content from your Mac or iPhone to Windows PC. In addition to the above options, you can also view your account details, check storage and change or buy more storage for your iCloud account from the app. You can disable iCloud for Windows in two ways – one is to disable individual options like photos or iCloud Drive which you don’t want. Other way is to sign out from your account in the app. In both ways, all your content on the PC will be deleted. So do this only if you want to entirely delete the iCloud content from your PC. When you disable individual service the app will not warn anything. However, when you click on “Sign out” button the app will ask you to confirm the content deletion. 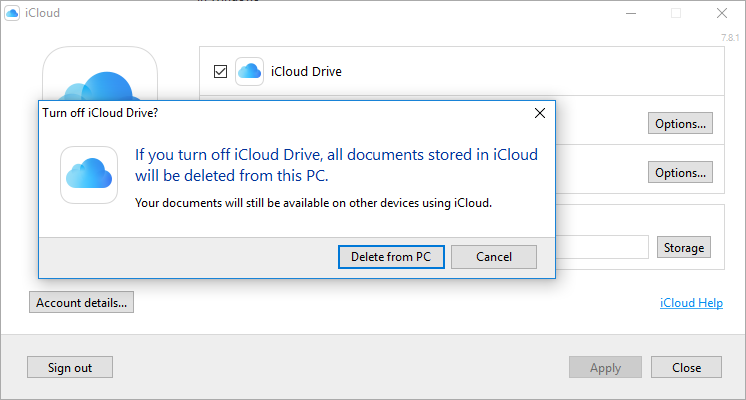 Click on “Delete from PC” button to delete all iCloud data stored on the PC. iCloud for Windows app allows you to sync content from your iPhone or Mac to your Windows PC. Though you can do this with iCloud website, frequently uploading or downloading photos and other content on the website is painful task. You can easily do this with the app from your Windows PC.